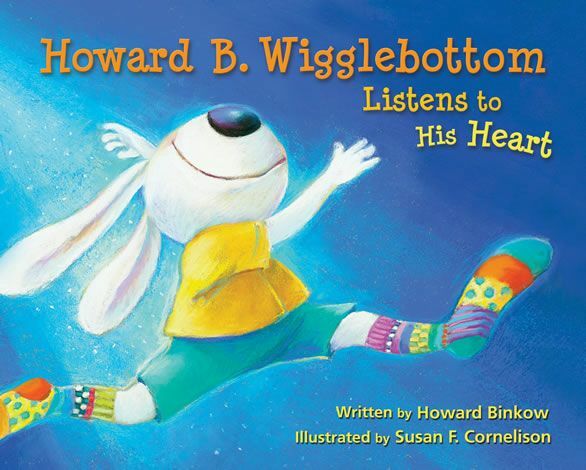 Howard B. Wigglebottom Listens to His Heart written by Howard Binkow and illustrated by Susan F. Cornelison definitely spoke to us. In this story, Howard learns to do what makes him feel good about himself even though his friends made fun of him at first. Howard loves to dance and finds out from his grandfather that he comes from a long line of dancing Wigglebottoms. He practices and practices and wows all of his friends at the Sock Hop! When Howard does what he loves – it makes his heart sing! Students wrote responses to this story – writing about the message of the book and/or about an activity that makes them feel really happy and why. From Howard, we learned that we can celebrate and be proud of who we are! Jena: I think that the message of this book is that you should do what you want to do and it doesn’t matter what other people say. Just do what you want to do. I’m good at reading because when I read I start to fall into the book like I’m with the character. I feel great when I’m reading. Alyson: The message in this book is do not listen to other people’s opinion. Listen to your own. My favourite sport is hockey and soccer when I’m playing with me Dad. And swimming! Annie: I’m good at running and when I run, I feel like I can run around the world. When I was little I kept on practicing at running. Last year I got a little fast. Then I got faster and faster. Now I’m the third fastest runner. This entry was posted in Classroom Views, Picture Book Love and tagged great read alouds, Howard B. Wigglebottom, Howard Binkow, picture books, Susan F. Cornelison by carriegelson. Bookmark the permalink.